Great character in this historical house. This rental opportunity features two bathrooms, two kitchen areas, hardwood floors, a rear mudroom, five off-street parking spaces, a beautiful landscaped courtyard and tons of charm. Kitchen appliances are included - (2) refrigerators, stove and dishwasher. No smoking and no pets allowed. Tenant is responsible for utilities. A 2019-20 school year lease and a $1625 security deposit are required. 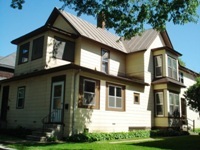 Very spacious upper duplex - only two blocks to UW-L. This unit features off-street parking and a 3-season sunroom. Kitchen appliances are included: stove, refrigerator and dishwasher. Tenant is responsible for utilities and snow removal. No smoking and no pets allowed. A 2019-20 school year lease and a $1500 security deposit are required. Conveniently located upper level unit! This well maintained unit features off-street parking, a front porch, an open concept layout, newer updated flooring, new cabinets and countertops, spacious rooms and an in-unit washer and dryer. Kitchen appliances are included: stove, refrigerator, microwave and dishwasher. Tenant is responsible for utilities and snow removal. No smoking and no pets allowed. A 2019-20 school year lease and a $1625 security deposit are required. 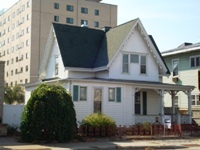 Enjoy the comfortable layout of this huge rental opportunity! 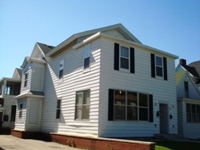 This unit features a bonus 6th bedroom, two full bathrooms, air conditioning, in-unit laundry and off-street parking. Kitchen appliances are included � stove and refrigerator. Tenant is responsible for utilities. No pets and no smoking allowed. A $1650 security deposit and a 2019-20 school year lease are required.